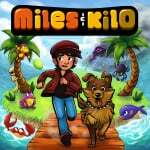 If you enjoyed retro styled platformer Kid Tripp then you might be interested to know that publisher Four Horses is bringing sequel Miles & Kilo to the Switch eShop in the not-too-distant future. Miles & Kilo takes all the great features of Kid Tripp, turns them up to 11 and throws in a dog for good measure... a bit like Shadow Dancer was to the Shinobi series we guess! In the game you can play like a regular platformer with full control of Miles, so you can spend as long as you like carefully picking your way through the levels. There is also the option to turn on Autorun and go for your fastest times, the choice is yours. Do you plan to pick up Miles & Kilo when it pops up on the Switch eShop later this year? All games would be better with the addition of dogs to them. I enjoyed Kid Tripp. It was a brief but fun experience. Definitely interested in the sequel. Looks like it's quite similar to the original, just bigger and better. Fine by me. Kid Tripp was great as far as auto-runner goes, but this one always looked so much more awesome from the trailer. I'm glad it will be on Switch. Will buy it Day 1. All I've been hearing is Steam this and Steam that regarding this title. Thrilled to learn it's coming to Nintendo Switch!!! Looks really good. I will definitely be getting this. I'm glad to see a retro-inspired release that actually looks like it came from the NES era! Too many of the retro games are an unsightly mess of pixels, with a character that is the size of a pinky nail! For whatever reason, that look is such a turn off for me! This game looks like it would be fun, for the right price ($5.99). Oh man oh man do i love me some platformers. And the Switch has me covered in spades!!!! With Celeste coming this week, SteamWorld Dig next month and now this!! Im overjoyed!! Will it have any mario bros 3 / world styled map? Secrets? Several pathways? If so then sold! I kinda have a thing for those in a retro platformer. Love the visuals in this--I get a real classic original Wonderboy vibe from it, both in terms of visuals and some of the gameplay--but it looks like an endless runner rather than a proper platformer (Edit: Although the article would seem to suggest it can be played as both). If it was a proper platformer I'd be very excited about it. So much potential to be great. I have Kid Tripp on 3DS and thought about double dipping. I guess I'll wait for the sequel instead for my shiny new platform. @BanjoPickles Yeah, it's one of the few games trying to ape that era that's actually getting it right by making everything look like it's at the proper resolution and sticking to proper pixels with everything, even the HUD stuff, and it really works imo. It just looks real good to me. This looks great! If the gameplay holds up I'll get it for sure! Looks awesome to me, think I'll get it. The dog has a Sonic style homing attack too which I like. Didn't think I would like it, but after watching the video, it looks pretty good. looks awesome like Kid Kool. Absolutely! This looks like something I would have played in 1988-89, and that's always a good thing! This is totally out of left field, but do you know what I would love to see on Switch (and it will NEVER happen)? An update to Faxanadu! That was one of my all-time favorite NES games! @ImDiggerDan This is the part where I would typically roll my eyes and scoff to myself that someone somehow feels better about themselves for being "first" to respond to an article... but in this case, I had to chuckle =D Looking forward to the release. @impurekind I am 99% sure that the game is a platformer with intentionally designed levels. The option is to play either with normal directional controls (as in Mario Bros.), or to play as a runner (as in Mario Run). Looks like something that would have been mediocre on the GBA. Sorry, no thanks. This looks like a cute game, but I am not so sure about it due to the auto-runner style it seems to have. Looks too mobile inspired, not sure if you can even call it a platformer. @BanjoPickles Never played it but it looks cool. This looks really good, much better than I expected it to be before I watched the trailer . I didn't bother with Kid Tripp because it was an Auto-runner but this can be played normally so it's a certain purchase. @JayJ It can be played like a normal platformer where you have full control of the character. "In the game you can play like a regular platformer with full control of Miles, so you can spend as long as you like carefully picking your way through the levels. There is also the option to turn on Autorun and go for your fastest times, the choice is yours." @OorWullie Yeah I know they said that but judging by the trailer it looks like the levels are still designed around auto-running. Inspires some hope at least, I will await the feedback. It’s one of those cases where a third party takes the foundation laid out by Nintendo and actually improves upon it. Just as Capcom’s Willow was (in my opinion) a better game than the original Legend of Zelda, Faxanadu was a better game than Zelda II. @Bondi_Surfer For me that is only true with those titles that say they're doing the whole retro style but totally aren't doing it properly, like they have an HD HUD or HD particle effects that are mismatched and out of place, and they just look weird and often slightly fugly as a result--this is not one of those games imo (as in, it absolutely nails the classic Master-System-esque aesthetic, and sound, perfectly).